The park is just north of the intersection of Lawrence Ave and Marine Dr.
Puptown has four (4) bag dispensers!! 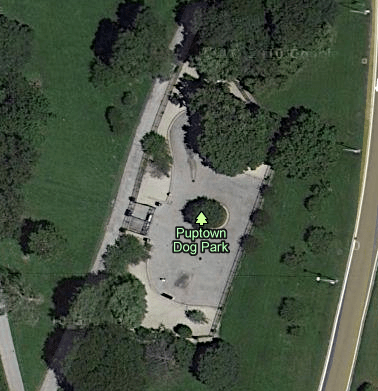 The Puptown Dog Owners Group, is a 501(c)(3) membership association comprised of park patrons, neighbors and friends. Events are held each year to raise funds for larger projects. Recent projects (2008) include fencing to prevent small dogs from escaping the park and structural improvements. Collins Canine offers a 15-percent discount to P-DOG members on all group and private training classes.